Community Professional Loudspeakers has appointed Audio Biz to represent the brand in the Midwest region, comprising northern and central Illinois, the eastern half of Wisconsin, and the state of Michigan. 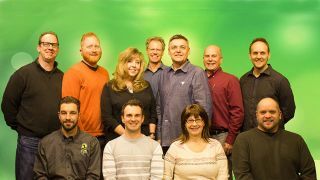 Founded in 1991 by Randy Stenson and Les Murin, Audio Biz represents manufacturers of professional audio, video and lighting products. The company is located in Ingleside, IL and operates a 4,000-square-foot office facility, which houses administrative, training, sample warehousing and demo fabrication areas. “We represent, sell, and support the best manufacturers in the industry, so we are proud to be partnering with Community and look forward to supporting their team in this region of the country,” said Beth Mickel, sales manager at Audio Biz.